You’ve had a bit of a year, haven’t you? You spent some time with Congress, which looked to be as uncomfortable and miserable as I always imagined it would be. I would feel bad for you, except it seems to me after my own reading and research that you kind of needed to be there. It appears that you have been in the business of selling our data. Sure, you’ve always been in that business. But it would appear now as though you have been selling that information about us to some people who, shall we say, wouldn’t be first on our Christmas card list. I for one, started to find that troubling. Now sure, some will say that having our data out there is nothing new. We shouldn’t be that shocked about social media companies selling our data. And maybe that’s true. But you lied about the amount and extent of how much of our data you were selling, or even just flat out giving away. And I have to wonder, if it was really no big deal to have our data out there, why exactly did you have to lie? If it wasn’t a big deal, why wouldn’t you just tell us about it? But then, sometime around September, you got hacked. Facebook! You promised us that it was one of the most secured platforms ever, and some dude broke in and stole the information of something like 50 million people. That’s kind of a no-no in the tech industry as I understand it. Plus, there’s the issue of what Facebook has become. In the old days, when I was in college, it was a cool way to communicate with my closest friends. We would make plans of when to get together, laugh at the crappy photos we were taking on our flip phones, and creep on the girls our friends liked. Now, it would appear that your platform offers you a choice between an endless political debate in which no one is interested in changing minds or having their mind changed, or cat photos. I’m a dog guy, and I’m getting tired of the way your platform handles politics. So I’m breaking up with you. 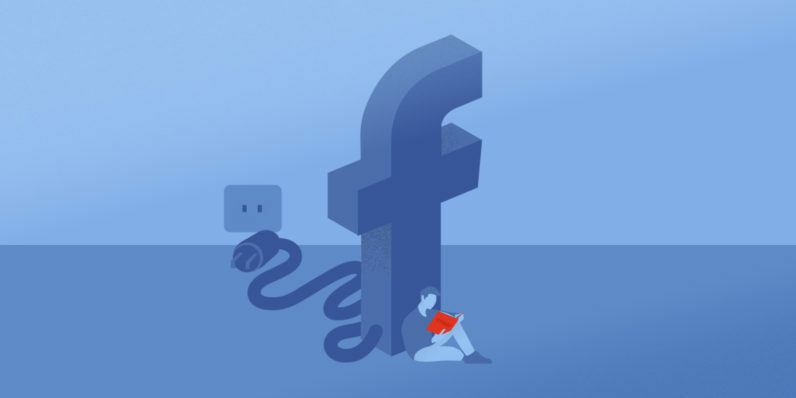 Sure, a few people will tell me that it’s the way that we connect and communicate, but truth be told I can’t remember the last meaningful relationship in my life that existed only on Facebook. For as much as I don’t think I ever changed anyone else’s mind, I did enjoy some of the political debates I was a part of. But 2019 is upon us, and I’m ready to move on. But Mr. Zuckerberg, please don’t give up. I believe this platform was well on its way to changing the world, and you somehow lost yourself somewhere along the way. I do actually believe that you are a bit of a visionary, and that if you really sat down and dedicated yourself to the issues that Facebook has, you would be more than capable of fixing them. When you do, I’ll be back.